I came back to Japan last Thursday. As always, my family came to pick me up at a shuttle bus station and we went straight to dinner. 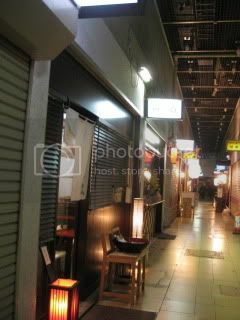 It's a unique and very serious soba restaurant, called Un Peu (庵 浮雨), located in a small arcade alley. This short block is filled with tiny izakaya joints, many of which are standing bars. Un Pew has only 9 seats total. Their sake list has a nice selection from all over Japan. 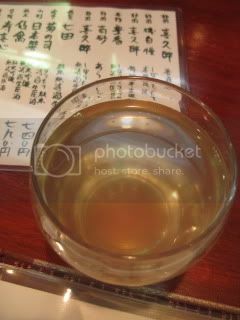 I had Houka, Shibori-tate Junmai Muroka Nama-genshu (fresh squeeze, non-filtered, unpasteurized, undiluted!) from Shizuoka. The sake had the pure and fresh palate with milkiness. 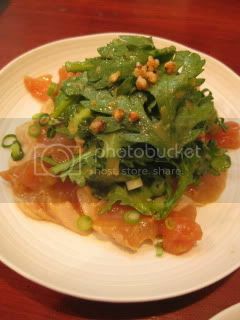 With this sake, I had their homemade tofu, and also salad of fresh (raw) jidori (real jidori) chicken tender and chrysanthemum leaves. The chicken was so fresh that it tasted almost sweet. 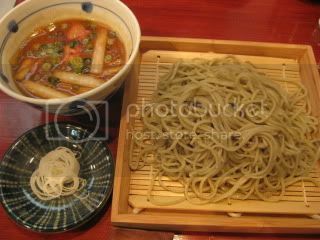 The owner/ chef has a background in French cooking (thus the name Un Pew) as well as in traditional soba, so he makes unique-style soba dishes reflecting his unique background. 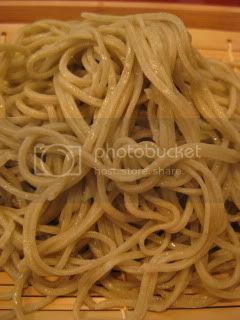 All his soba are Ju-wari soba (made from 100% soba flour). I had Kimo-seiro soba, which is cold soba with chicken white liver dipping broth. Chicken white liver is often referred as "foie gras of chicken" for its rich creamy taste. It's also very rare kind. 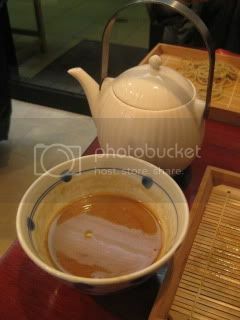 The soba was really tasty and the chicken white liver broth was so rich and elegant. What a great combination of these two. I was so satisfied. 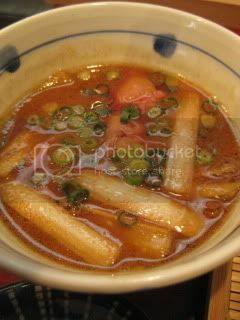 The soba-yu (cooking broth) was among the richest kinds I've had and I really enjoyed it, too.